It's true. Says so in the blogging codex. Hey there. I've been away for a bit. I've been extremely busy getting our home move in ready. Oh, I didn't tell you guys?! We're moving! I've been working feverishly to get all kinds of projects done before we move in full time. But I degress... that's for another blog post. I spent the last 2 hours working on a blog post. I filled you in as to what was going on and one of my awesome Super Mario themed ideas that I was going to start working on. And then... the blogging gods decided that my blog post was too damn good to share with the world and decided to devour it. NOOOOOOOO!!!! 2 hours of work, gone. Vanished. Disappeared. Even though there is an auto save feature in Blogger, for whatever reason, my post simply disappeared. So, my question to you guys is: What is your go to stress reliever? Video games? Writing? Books? Facebook? I want to know. 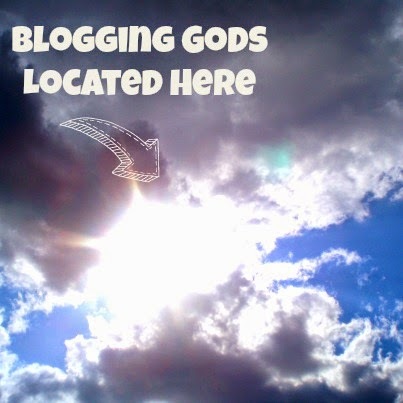 When the blogging gods or gaming gods or tech gods or any other gods I may have missed, come and take claim to your project, what do you do to do move on? So let's hear it friends. Later! When I start to get stressed, my husband hands me the controller/gaming mouse and tells me to go kill things. Hack 'n slash sword action is often my go to at those times. As much as I enjoy reading, I'm afraid that books aren't good for me when I need to let frustration out.